Wouldn’t we all love to have access to expertly crafted, custom-made museum transport crates when shipping works of art? Unfortunately, the realities of collecting art in Southeast Asia make this almost impossible. Therefore, we have come up with a simple system that involves readily available materials and is easy and cheap to make in Southeast Asia. Oversized contemporary paintings can be rolled and transported inside a large plastic tube normally used in sewerage plumbing and construction. These tubes are incredibly sturdy and almost impossible to dent. The painting is placed face down on several overlapping sheets of smooth paper. This will act as a barrier layer, protecting the paint layers. The painting can then be rolled with the paint layer facing outwards but protected from contact by the paper interlayer. It should be rolled with as large a diameter as possible to reduce curvature and bending of the paint as much as possible. A piece of paper or padding can then be wrapped around both ends of the rolled painting, and the excess folded inwards. The painting is then carefully inserted into the tube, and extra padding placed in each end to reduce movement to a minimum. 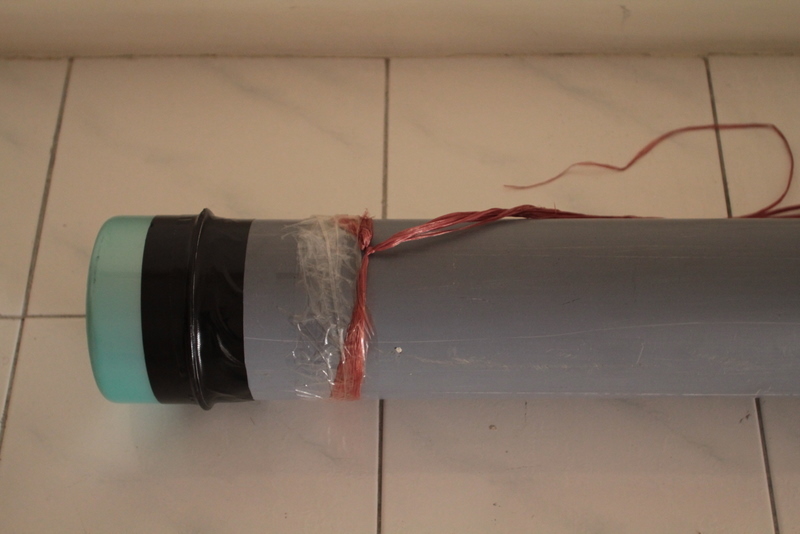 The ends of the tube can be sealed with plastic bowls of a suitable size, so that they fit snugly over the tube. Fabric tape wrapped around the join prevents the plastic bowls from coming off during transport, while sealing the whole package watertight. For paintings that are stretched onto a strainer or stretcher, placing them in a box tends to be the most effective method of transport. Check tensioning of the canvas, to see whether it is taut or slack. Slackness is an issue, as the canvas will move during transport, slapping against the auxiliary support. This may cause cracks or flaking of fragile paint. 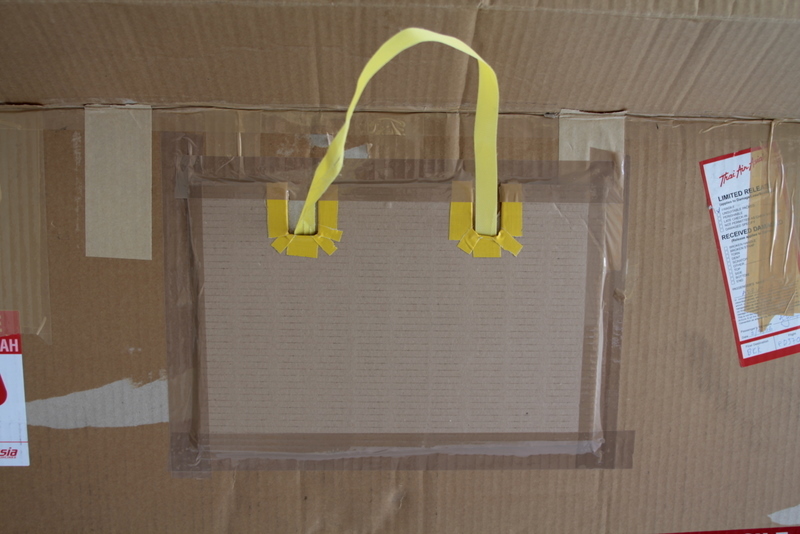 If the transport box is placed horizontally, the canvas may sag and come into contact with the auxiliary support, which also leads to crack formation in the paint layers. For such paintings, extra padding is recommended. A benefit of padding is that it reduces vibration of the canvas, cushions and reduces movement of the canvas during transport. 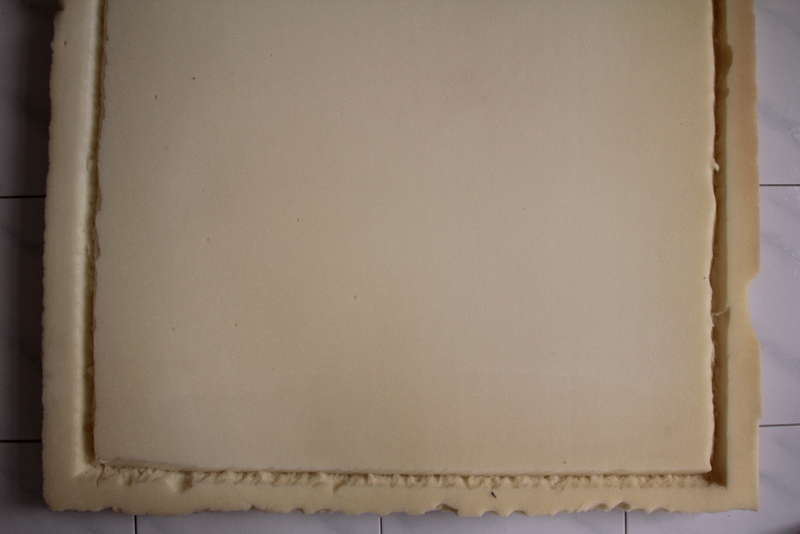 While polyester wadding is ideal for this purpose, it is not readily available in Southeast Asia. Alternate sources for inserts that can be used for the rear of paintings are soft furnishings such as cushions or mats, which often contain foam. These can be purchased in varying thicknesses in mattress shops or furniture shops. In order to select the right thickness of foam, compress by hand to check the support it will provide. Some foams compress very easily and provide less protection, though may be necessary where the painting surface has unusual protrusions (either in the painting layer) or elements of the frame. Medium density foam is generally better for overall protection. Usually, between two and 7 cm is suitable for external packing, while up to three cm may be necessary to pad the reverse of the canvas. The foam should be the same thickness as the stretcher bars or slightly less, so that it is not compressed. Compressed foam will exert pressure on the canvas, which may lead to damage. Once suitable foam has been selected, it is cut to fit as an insert into the back of the painting, where it lies against the canvas. If there are crossbars in the auxiliary support, smaller pieces of foam should be cut to fit around these. 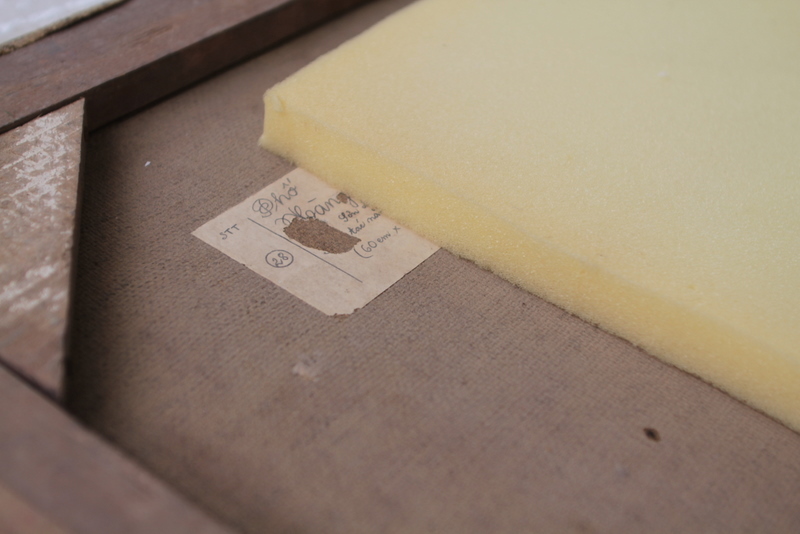 Offcuts of the foam are kept as they are useful for padding the box or supporting the sides of the painting. If the foam is cut to the right size, it should remain in place when the painting is wrapped. For framed paintings, we have found it useful to wrap string tightly around. This keeps the padding in place and protects the front of the painting by creating an air gap between the front and the high point of the frame. The painting should then be wrapped in a smooth material such as paper. Tyvek is a great synthetic, stable and sturdy material, but not easily available. The wrapping paper should be placed on a smooth surface, and the painting placed face down on it, ensuring that no creases are present. The paper should then be wrapped tightly and sealed with tape. With larger paintings, it may be necessary to use several overlapping sheets of paper. An additional piece of foam may then be placed against the front of the painting, and where necessary, a groove cut for the frame to sit snugly within. Where the condition of the painting makes this additional foam unnecessary, the package is wrapped in bubble wrap, with additional bubble wrap in the corners for added protection. Based on the dimensions of the wrapped painting, a box maker is approached, who then constructs a custom-made thick cardboard box. Cardboard box makers can usually be found in areas where shipping and packing companies are based or where paper sellers are found. For example, in Hanoi, we use a box maker in Hàng Cân street in Hoàn Kiếm district, where many paper sellers can be found. Usually, this box incorporates handles for easy transport. One of the advantages of using a cardboard box as the outer layer, compared with a wooden crate is that it draws less attention to itself as containing something that is potentially valuable. This reduces the likelihood of theft or interference during baggage handling. Furthermore, wooden crates need to be constructed from fumigated and suitably stamped wood when shipping overseas – this may not always be easily available. 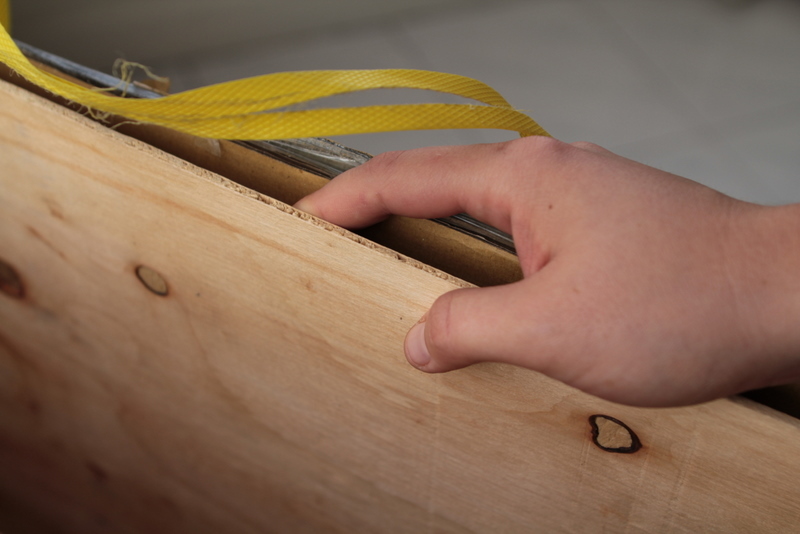 We generally purchase two plywood sheets that fit the large side of the box as a lining. These provide the added protection that cardboard does not have. 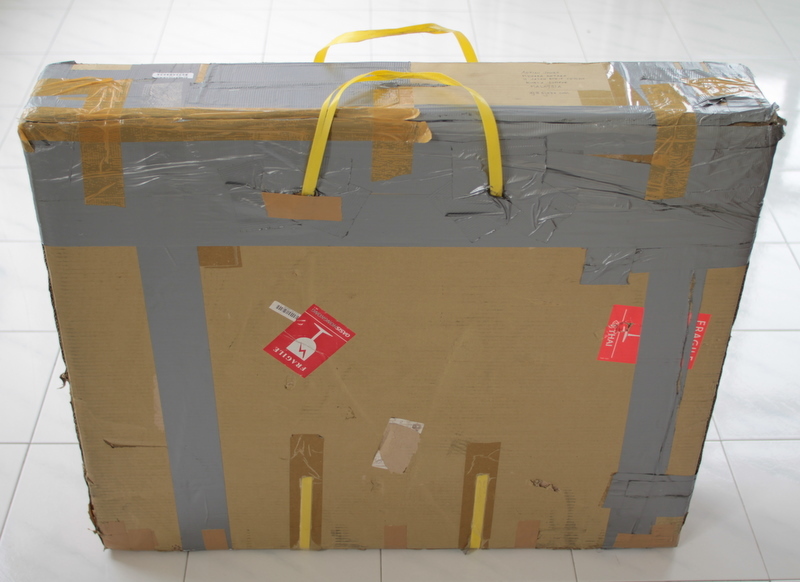 In tropical climates where baggage may be susceptible to heavy downpours of rain, it is useful to wrap the foam-encased paintings in thin-film food-wrap before inserting them into the box, to provide protection against water damage. To avoid the risk of mould forming, this plastic wrap should be removed immediately once the package reaches its destination. The wrapped painting can then be inserted into the box, and any gaps filled with extra foam padding. Plastic parcel or packing tape is used to seal the cardboard box. We label our boxes discreetly in order to ensure that they do not unnecessarily attract unwanted attention. It is worth reinforcing the areas on the boxes where handles extend, since rough handling by baggage handlers (or accidental snagging of the handles) can result in tearing of the box. We have found fabric tape to be particularly suitable for this purpose. In normal use, these boxes are good for 5-10 uses before wear-and-tear renders them unsuitable for further use. We have used these simple boxes to transport well over one thousand paintings within Southeast Asia as well as beyond, and they have always safely protected the paintings. Given the rough handling occasionally experienced at the hands of luggage handlers, it is no surprise that the boxes occasionally exhibit surfaced damage. However, the paintings have always arrived in good condition at their destination. There have been a small number of cases where a few small paint flakes have come off a particularly fragile painting. However, the paper wrapping has always kept the flakes in place so that we know exactly where they have come off. 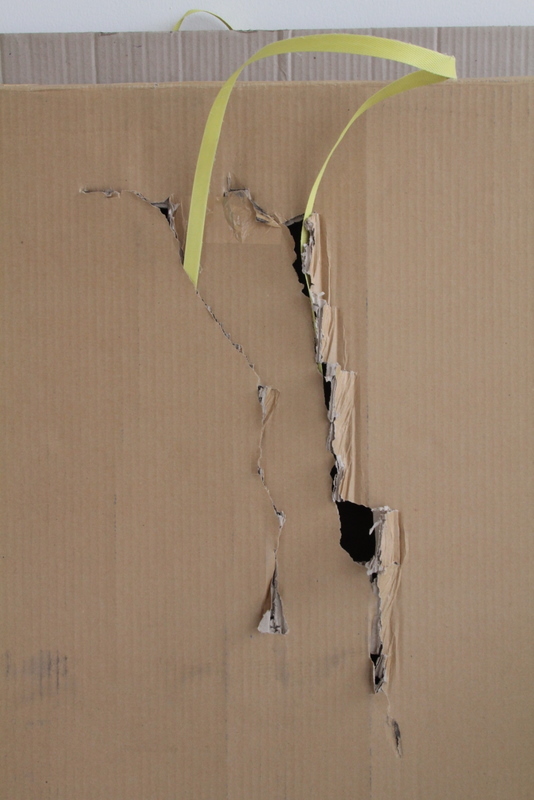 Fabric (“duct”) tape, useful for reinforcing areas on box where handles extend. Best to take with you as it is not always easy to find when you need it.